Welcome to Oakville’s Premiere tanning salon. We are proud to offer some of the world’s best tanning salon bed sright here in Oakville. We are very close to the Mississauga border and serve many customers from Mississauga as well. We have been voted #1 on many occasions by the Oakville Beaver readers and Readers Choice Awards. Why ? Because we have the best prices , best service and best tanning beds for tanning in Oakville Mississauga. 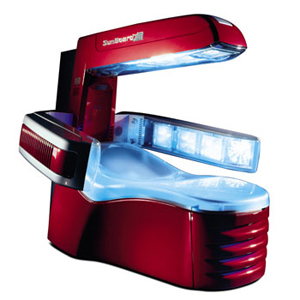 Come try the luxurious Sunboard XTT High Pressure Tanning Lounge. This is total luxury tanning that is very gentle on the skin. It is not dehydrating like other tanning beds and what is so great about this tanning bed is that you cannot get a burn ! That’s right – any of you worried about your skin can get a beautiful gorgeous bronze tan without worrying about burning.